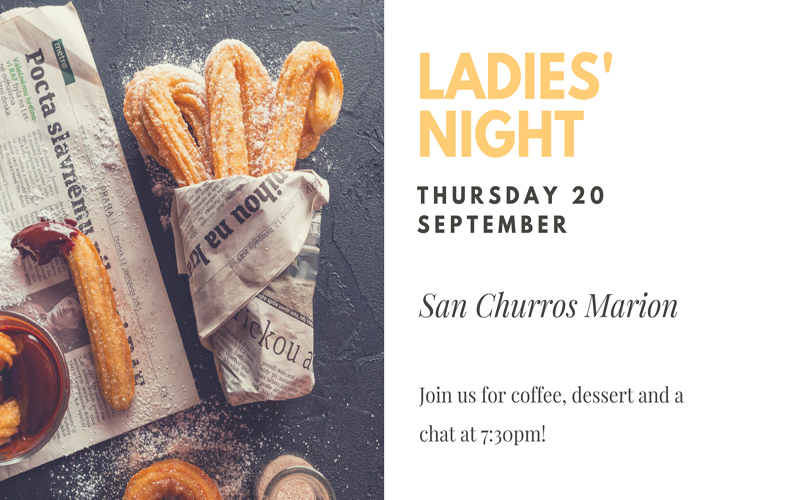 All of our ladies are invited to come along to San Churros in Marion to enjoy coffee, dessert and a chat. We will be meeting at San Churros at 7:30pm on Thursday the 20th of September. Registration is not necessary so just turn up whenever you can! San Churros Marion is located in Westfield Marion across from the TGIF restaurant. Be sure to come along and join in the fun night!